Drawing inspiration from the High Line, the Rose Kennedy Greenway, and the mural festivals in Lynn and Worcester, Malden Arts is partnering with Groundwork Somerville, Mass Development, and the City of Malden to transform Malden and its section of the Northern Strand Community Trail (NSCT) into the ARTLine. The ARTLine will be a premier public art gallery with miles of professional murals, sculptures and community hubs. 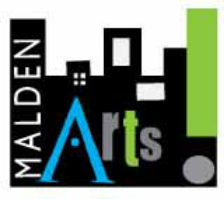 These hubs will feature gathering spaces with bursts of art, greenscapes, pedestrian and bicycle accommodations, which will fuel economic growth through the act of creating unique and interesting places throughout Malden.